Esteban lowers his head, overtaken by emotion. He puts on his lifejacket, steps onto the Chilean Navy’s zodiac raft, and heads back to the ship. 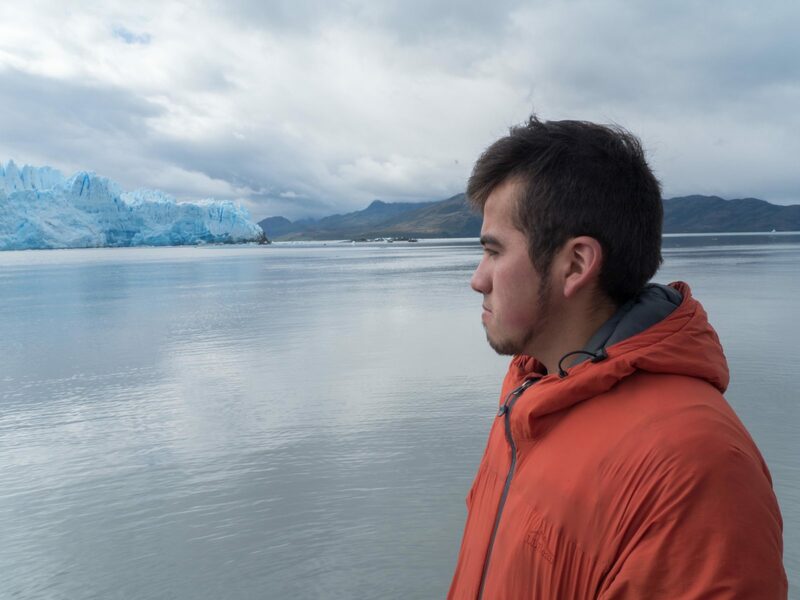 Esteban had waited many years to finally see the Pío XI Glacier; thanks to our student team on the Round River Patagonia Conservation Program and to the tremendous help from the Chilean Navy, we were able to give him an environmental education experience he calls the best of his life. As an instructor for Round River’s Patagonia program, I’ve been surprised to find that even in Patagonia’s rural communities, kids are not spending enough time outside. Families in the sparsely-populated region of Aysén have largely left their farms behind and moved into towns like Cochrane, Tortel, and Villa O’Higgins. Economics have played a heavy hand in encouraging this transformation, as hardship on the ranch contrasts the growing opportunities of tourism in the towns. While their parents grew up helping on the farm, today’s young Patagonians spend much more time inside. Helping children have positive relationships with nature is crucial to ensuring that nature is valued and protected in the future. Believing in this principle, the Round River Patagonia team has organized over a dozen environmental education workshops and field trips to help foster the next generation of environmental leaders among these communities. “Kids are the future. They’ll take the reigns after us. But it’s also personal. I had the luck of experiencing nature when I was little. Somebody took me out to nature, taught me about nature when I was very young,” Fernando Iglesias Letelier, Round River Chile Program Coordinator, said. 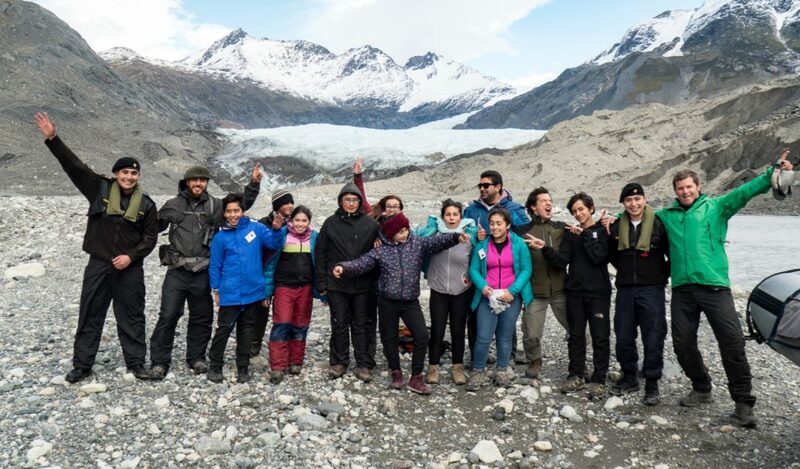 Our Round River team has led hikes over mountains and into bogs, played games in classrooms to teach about Patagonia’s ecosystems, and led workshops in community centers about the endangered huemul deer. But, we’ve always dreamed of something even bigger. 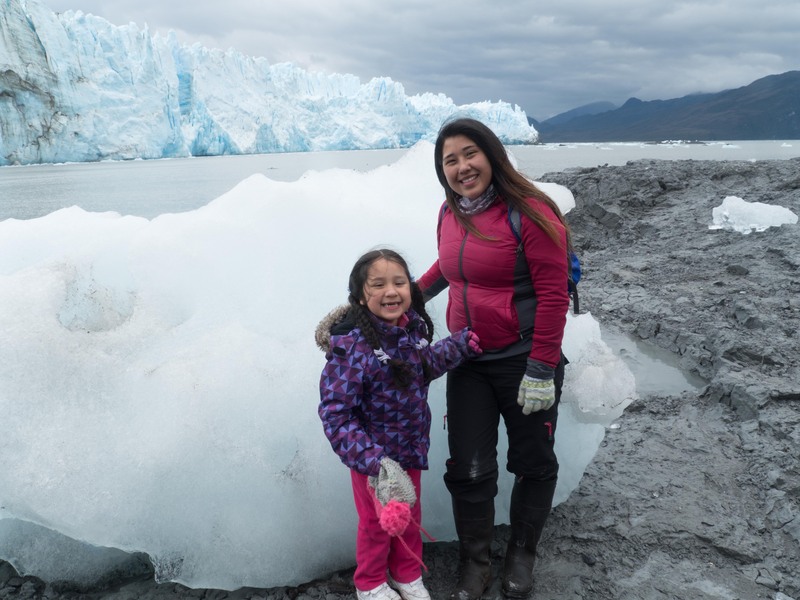 In this “Province of Glaciers,” we’ve dreamed of taking kids out to get to know and love their region’s most iconic feature: the glaciers of the Patagonian Ice Fields. 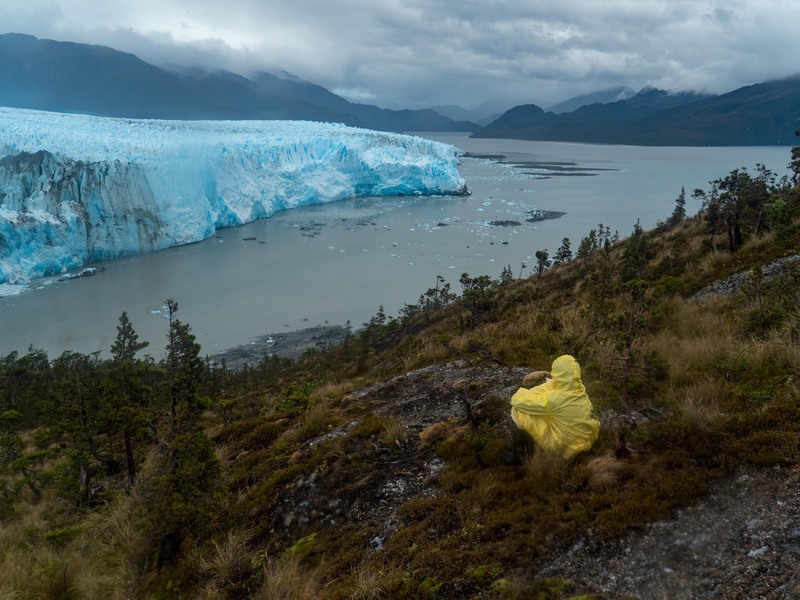 “It could be we’ll have lived here our whole lives and we never saw the glaciers when they were bigger,” Andrea, a 15-year-old from Villa O’Higgins, said. Round River programs have visited several glaciers on our trips with CONAF, the Chilean Forest Service, to survey remote areas of the Bernardo O’Higgins National Park for populations of huemul deer. But, taking groups of school children to these remote, harsh landscapes would be another story. With glaciers being so difficult to access, and transportation so sparse in this remote region, we thought it would always just be a dream. But then, the Chilean Navy helped us make it reality. The LSG-Puerto Natales and its incredible crew transported us to the Glacier. In fulfilling the Navy’s local mission to support the region’s isolated communities, the General Service Ship Puerto Natales was assigned to offer transport and support for our educational outing. On January 28, 2018, the LSG-Puerto Natales arrived in Puerto Edén, a 60-person town that’s completely surrounded by Chile’s largest national park, Bernardo O’Higgins, deep within a 2000 kilometer labyrinth of fjords. Here, Esteban grew up helping his father fish, spending countless hours navigating the surrounding waters. Yet, he had never been camping and had never seen the glaciers. It was time he boarded the ship. We left on January 29. 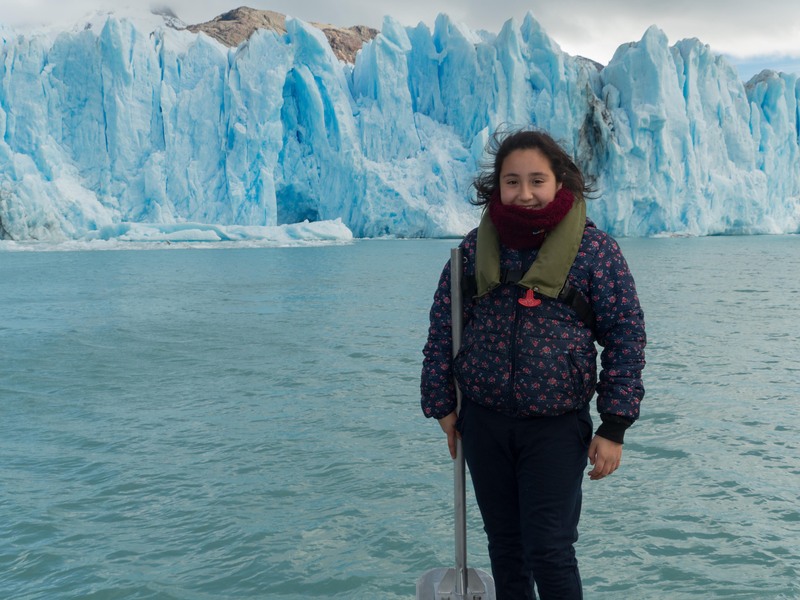 Esteban and several of his friends and neighbors – including 4-year-old Sacha with her mom Susan – boarded the LSG Puerto Natales with our group of Round River staff and students, and a crew of Chilean Navy sailors, guiding us to South America’s largest glacier. Esteban said he’d probably cry when he saw the glacier. Round River staff and students organized games to keep everyone involved and comfortable on the ship during our day-long ride. The sailors showed everyone how to steer the boat and handed out hot tea on the cold day. 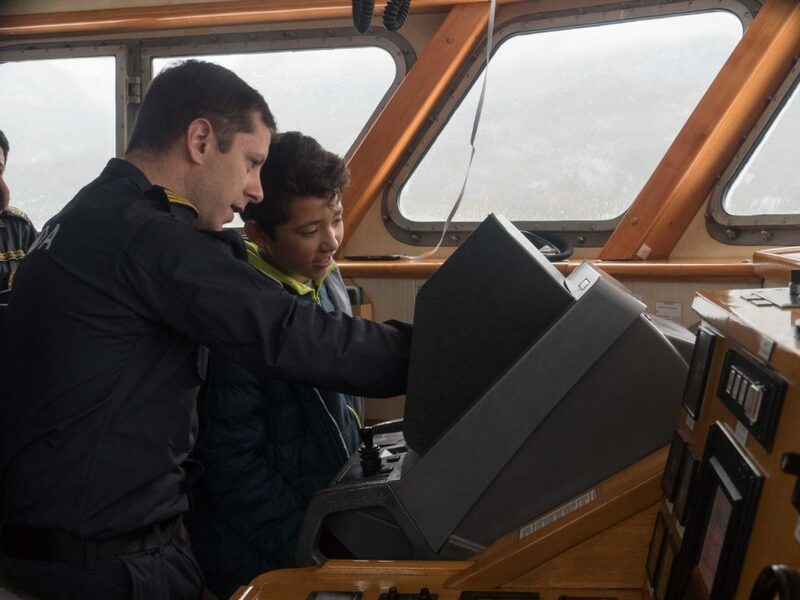 Captain Peters showed 13-year-old Joaquin how the RADAR system works. Everyone competed in Natural History BINGO, aiming to be the first to spot dolphins, seagulls, and Guaiteca’s Cypresses. Capitan Valenzuela showed Joaquin how to use the controls. The energy on board the ship was electric. The Edeninos were thrilled in anticipation to finally see their glacier. The crew of the Puerto Natales was so friendly, were caring hosts, and were obviously happy they could make this trip happen. Our Round River students, Team Delfín, were also excited for the experience but focused on making it the best it could be for the Edeninos. We Round River instructors were in ecstatic disbelief this had all come together. And then the glacier came into view. The largest glacier in the Southern Hemisphere (outside of Antarctica), Pío XI extends 5 kilometers wide and is over 400 feet tall at its terminus. Through foggy windows and windshield wipers, the ship’s navigator pointed out a blue mass on the horizon. Everyone went out on the deck and got their first view of Pío XI. Spilling off the Southern Patagonia Ice Field, Pío XI dominates the landscape, at over 400 feet tall and five kilometers wide. At nearly 500 square miles in size, it’s larger than Chile’s capital city Santiago. Excluding Antarctica, it’s the largest glacier in the Southern Hemisphere. 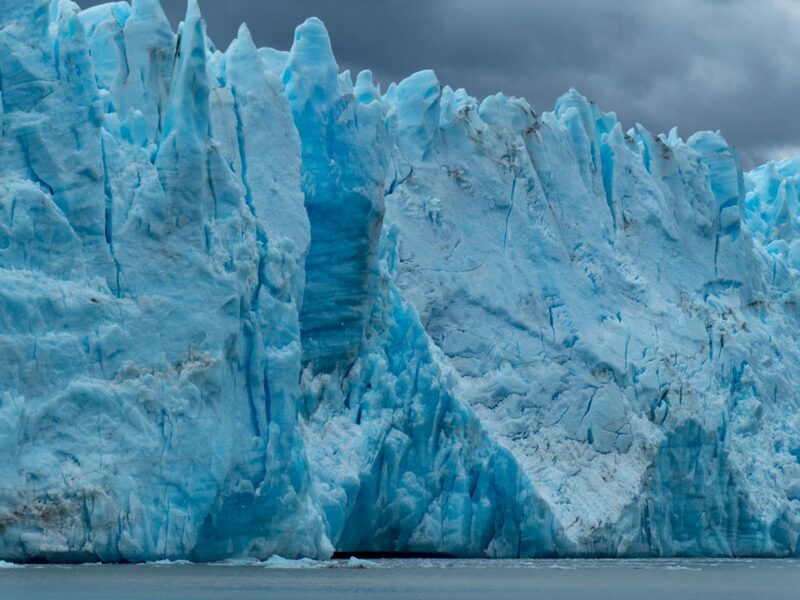 This glacier commands respect – it is the only glacier on the the Southern Patagonia Ice Field that is still advancing. Due to its size and height, it’s accumulating enough snow to grow over time, even under our warming climate. The sailors sent out the zodiac and found us a place to camp near the edge of the glacier. They returned to shuttle us towards the wall of ice, and our home for the night, on an epic and gorgeous zodiac ride. Definitely the most amazing campsite I’ve ever seen – and the first for many of our friends from Puerto Edén. We hiked uphill through driving rain up to a viewpoint where we could see as far back up the glacier as we could. 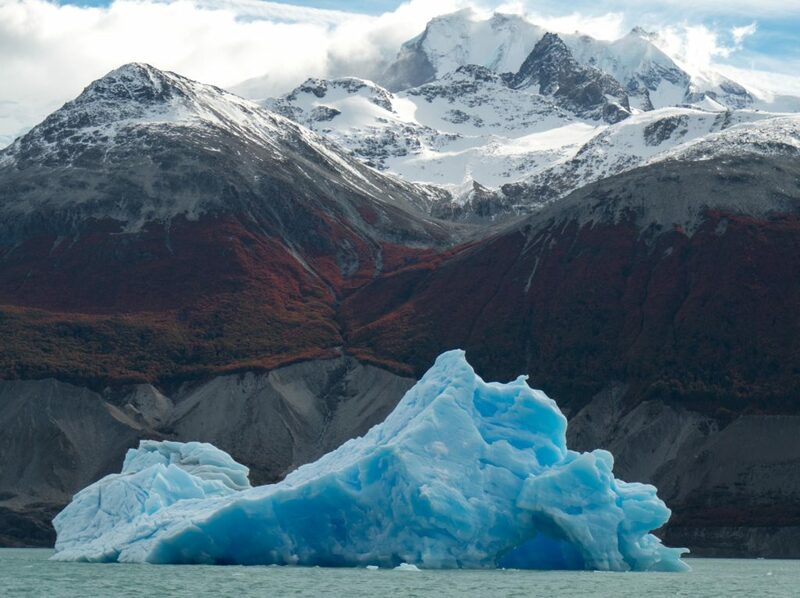 We talked about glacier terminology and how glaciers have shaped Patagonia. We discussed climate change and the transformation of the Southern Ice Field ecoregion, as ancient glaciers melt and retreat backwards. We talked about the power of being there. We all managed to survive the rain and the cold through the night, listening to the mighty glacier crack and calve and splash. The following morning, we all spread out and stood, staring at Pío XI. 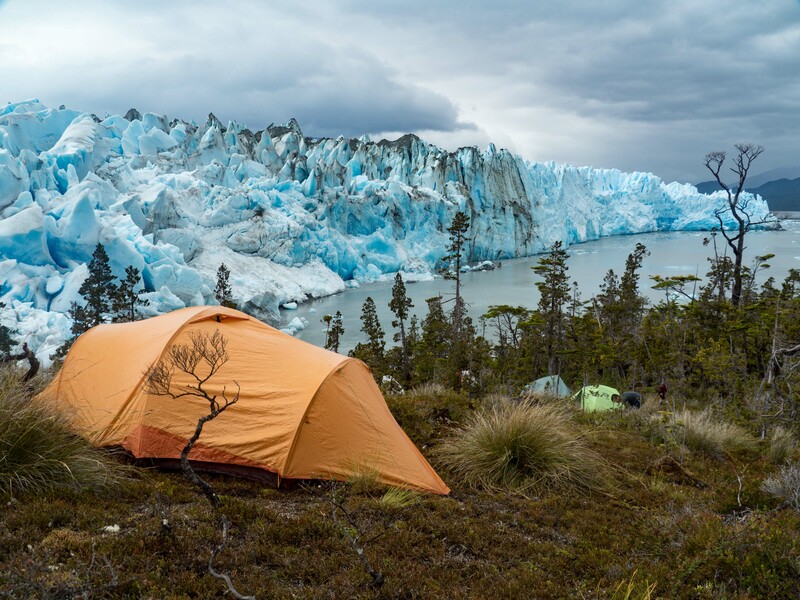 “I thought it was so incredible to wake up right next to the glacier. Listening to it calve all night. I’ve come to realize it is just too big to describe. It is extraordinary. Too beautiful. It is a beautiful place. I would love to come back again. This can’t be only the beginning. There has to be more. And for others to come. If I’ve come here, the others from Puerto Eden have to. So they don’t miss this. I’m speechless. I’m holding back tears, and it would be good for others to experience this. Six weeks later, we were in Tortel, ready to take another group to see a glacier for the first time. We worked with CONAF and the Municipality of Tortel to provide two boats to take a science class to the Jorge Montt Glacier. It’s the northernmost glacier of the Southern Ice Field, and unlike Pío XI, it’s the fastest-retreating glacier. After speeding down the Baker Channel, we soon found ourselves entering the field of icebergs emanating from the Jorge Montt Glacier. The students started calling out all the shapes they saw in the ice. Two weeks later we went to Villa O’Higgins for the third and final of Round River’s glacier environmental education expeditions. The village is on the shores of O’Higgins Lake, all in a carved-out footprint of the Southern Ice Field’s former extent. Round River programs have visited several glaciers in O’Higgins, working with farmers to identify huemul deer populations and to study other baselines to guide land management decisions. Once again the Chilean Navy offered their support and transported us up close to the glaciers Piramide and O’Higgins. The Municipality of Villa O’Higgins worked with the local school, Pioneros del Sur, to select the student attendees, and CONAF park ranger Juan Carlos Álvarez welcomed the group to the Bernardo O’Higgins National Park. We walked up a sandy floodplain; at its terminus the Piramide Glacier was black, covered by rocks, sand, and ash, looking like a dragon hiding under camouflage. Fernando led the students to climb up a few of its cascading streams and boulder fields. We reached a little cove surrounded by ice. Some of the students climbed up a cold black wall. Others drew their names in the sand. 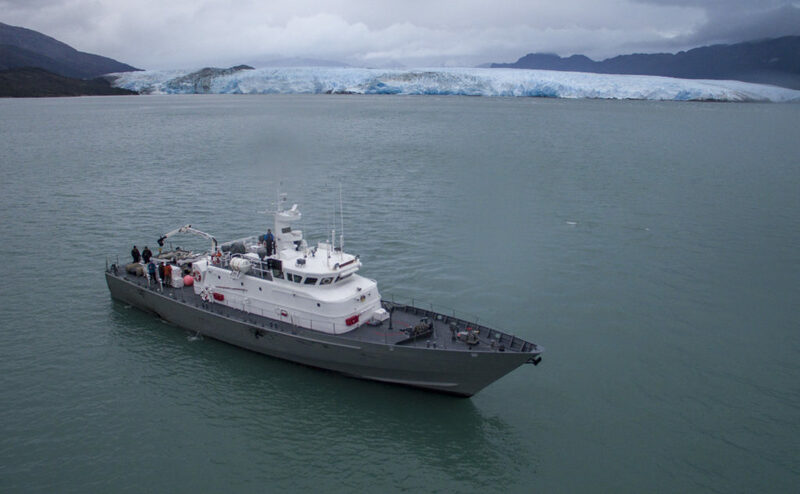 We boarded the Armada’s boat and Captain Saul Vega Henriquez took us close to the edge of the O’Higgins Glacier. In full sun, its bright whites and blues stunned us. Round River instructors offered an impromptu “school photo day,” taking portraits of each of the students with the glacier shining behind them. We had “School Photo Day” at Glacier O’Higgins! “They always seem small in the photos, but they’re tremendously big when you get up next to them!” thirteen-year-old Matias said, after we’d returned to Villa O’Higgins. An iceberg from the O’Higgins Glacier mirrors the ridge line of Cerro O’Higgins. We left Villa O’Higgins as the red blaze of autumn descended the steep surrounding mountains, at the end of our spring student program. 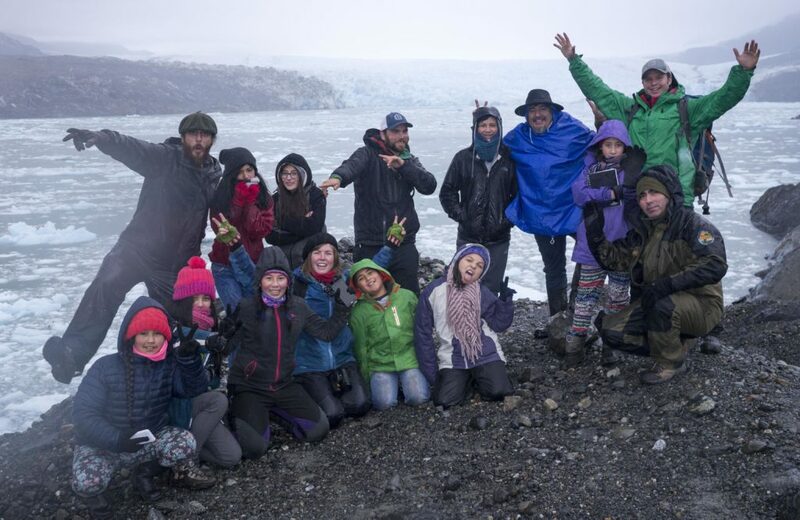 It is winter now in Patagonia, and as our Round River team prepares for another semester, we are working hard to plan our next environmental education outings – this time, we will focus on helping local students connect to Patagonia’s incredible fjord ecosystems. We hope that through these outings, Round River can continue to foster deeper connections between local communities and their backyard nature. We’ve have the incredible opportunity to experience Patagonia’s natural wonders, and by taking kids outside, we aim to ensure that future generations will, too. Interested in contributing to meaningful conservation research in Patagonia? 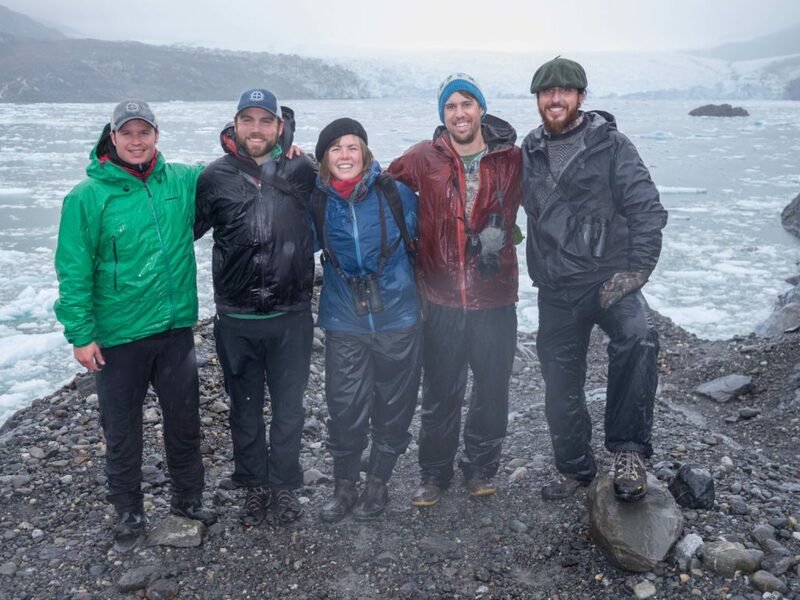 Round River offers a Patagonia Conservation Program for students. The author would like to thank the Armada de Chile and the crew of the LSG-Puerto Natales, the people of Puerto Edén, CONAF, the Municipalities of Villa O’Higgins and Tortel, the teachers and students of the Luis Bravo Bravo and Pioneros del Sur schools, and these beautiful glaciers. Cheers to our Dream Team who made these trips possible: Fernando Iglesias Letelier, Scott Braddock, Shalynn Pack, Adam Spencer, Mateo Pomilia, and Valeria Briones! Fernando Iglesias, Scott Braddock, Shalynn Pack, Adam Spencer, and Mateo Pomilia dreamed up and executed these fantastical journeys.